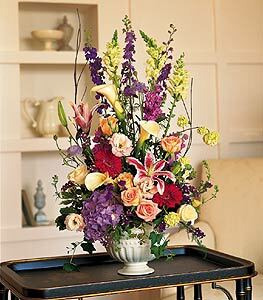 When great events call for something really grand, send this extraordinary bouquet with its colorful array of flowers. Its absolutely magnificent. Callas, larkspur, roses, snapdragons and gerberas arrive in a ceramic urn.